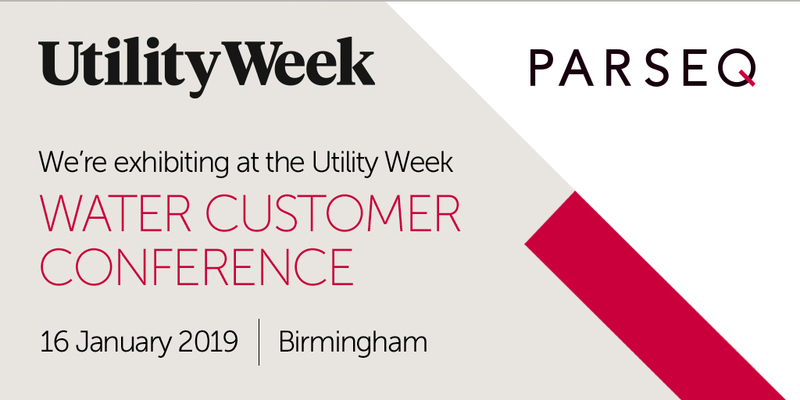 Parseq is exhibiting at the Utility Week Water Customer Conference on 16 January 2019 at the Birmingham Conference and Events Centre. The conference is the only dedicated event for domestic and non-household customer professionals in the UK water sector and promises a comprehensive agenda exploring how water utilities can exceed customer expectations. One of the biggest challenges facing water utilities today is the ability to consistently deliver an exceptional frontline service using a customer’s preferred contact channel. With water retailers continuing to face rising complaints as witnessed by the Consumer Council for Water and as Ofwat goes through the sector’s plans for the next five years, water companies are under pressure to re-think their approach. At Parseq we work with water utilities to transform the customer experience and improve back office efficiency, ultimately helping them exceed their regulatory obligations and lowering the cost to serve. We enable clients to respond to paper correspondence in 24 hours and e-enquiries in four hours or less through character recognition technology, automation and machine learning capabilities. The ability to consistently deliver notable and accurate customer service is now essential to obtain financial rewards that WaterworCX could offer from 2020. As competition also rises amongst non-household providers and the market matures, standing out from the crowd will be crucial. A total of 18 speakers will be attending the conference to address the sector’s challenges, opportunities and trends. The event will provide valuable networking opportunities including interactive breakout sessions and open discussions. To find out more about the Utility Week Water Customer Conference, click here.